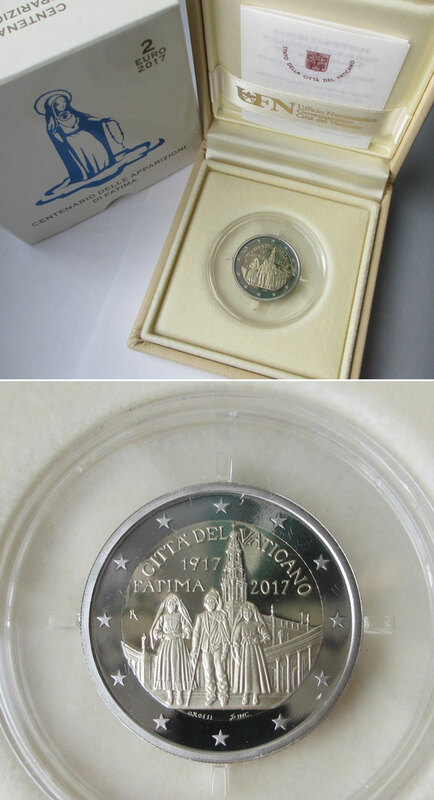 2017 Vatican 2 Euro proof coin on the 100th anniversary of the apparitions of Fatima. Includes original plush case and certificate. Mintage of only 10,000 in proof.